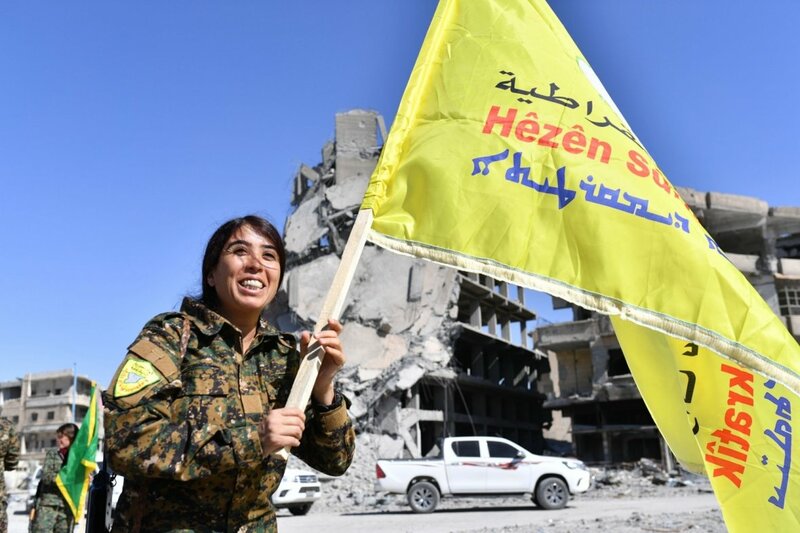 Following the liberation of the northern Syrian city of Raqqa under the leadership of the YPJ (Women's Defense Units, Yekîneyên Parastina Jin) in October 2017, the city's administration was handed over to the Civilian Council. Since then, a new life has been built up in the health, education, security and many other sectors of society. After the Iraqi city of Mosul was occupied by the so-called Islamic State (IS) in 2014, the jihadists marched with the weapons captured there in Raqqa, one of the largest cities in Syria. 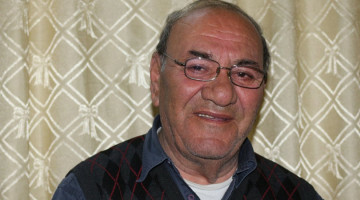 Al-Qaeda group Jabhat al-Nusra and the so-called Free Syrian Army (FSA) gave up the city. A little later, Raqqa was named the capital of the "IS caliphate" and overshadowed by a reign of terror based on the Salafist interpretation of Sharia law. From Raqqa, IS took over many other northern Syrian cities step by step, focusing on Kobanê in September 2014. The IS attacked the city on three fronts, but encountered an incomparable resistance there. 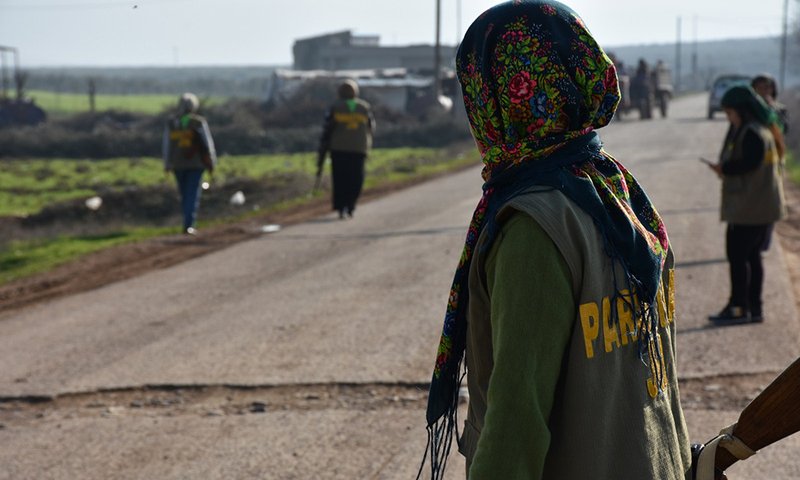 In Kobanê, the terrorist militia suffered defeat and from then on was gradually pushed back to its center in Raqqa. 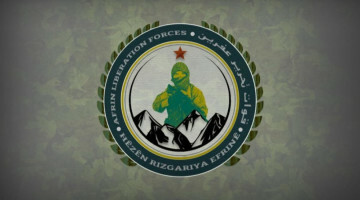 In particular, the military arm of the Syrian Democratic Council (MSD) - the Syrian Democratic Forces (SDF) formed from the populations of northern and eastern Syria - fought a determined struggle against the regimes of the reign of terror. On June 6, 2017, the SDF began their campaign to liberate Raqqa and ended the IS rule there after five months of fierce fighting. The declaration of the city's liberation was given by YPJ women fighting in the front line against the IS. This declaration was announced to the whole world on 19 October 2017 in the Al-Naim Square, where the Islamic State had carried out public executions. Tomorrow will mark this day for the first time. The city, which is about 200 kilometers west of Aleppo and has around one million inhabitants, became a witness to the worst tragedies from 2014 onwards. 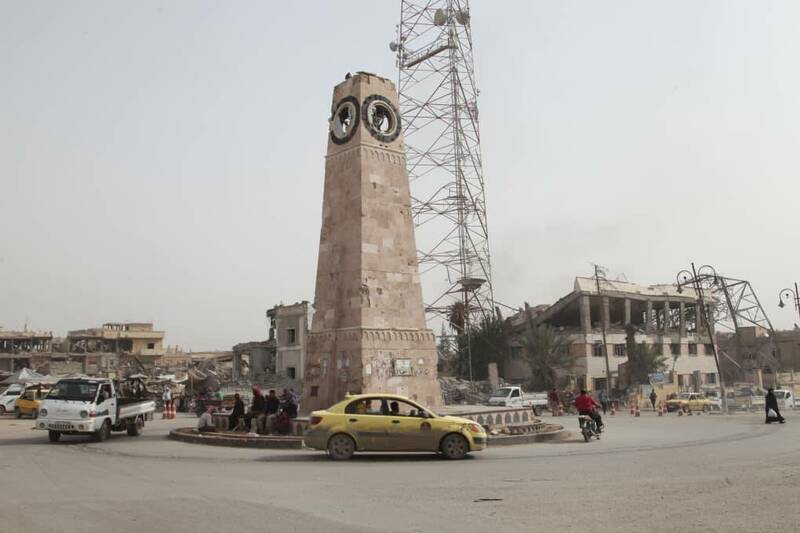 The administration of the liberated city of Raqqa was soon handed over to a civilian council. This civil council began with 60 members and now consists of 200 Arabs, Kurds, Armenians, Turkmens and Syriacs. The co-presidency is chaired by an Arab and a Kurdish representative. The council organizes popular assemblies in central Raqqa, the towns, districts and villages. Representatives of the Council have been opened in many places and communes have been formed throughout the city. The Civil Council is currently preparing for the 1st anniversary of the liberation of the city. Many people, including international delegations, are expected to attend the celebrations in Raqqa. The destruction causes by the Islamic State has been eliminated one by one. The return of the population to the city is also steadily increasing. Especially in the neighborhoods where the fighting was most intense during the war, the many people on the streets stand out. Shops are opening everywhere. The houses, which had been abandoned due to the escape from the IS, are also beginning to fill up with life again. There is a lot going on in the markets and squares. The construction machines work around the clock on the reconstruction of the city. The Mansura and Kornish bridges, which spanned the Euphrates in the south of the city, had been blown up by the IS. The repair and maintenance of the bridges has also begun. The people who live on the opposite side of the river still cross it with ferries and barges. 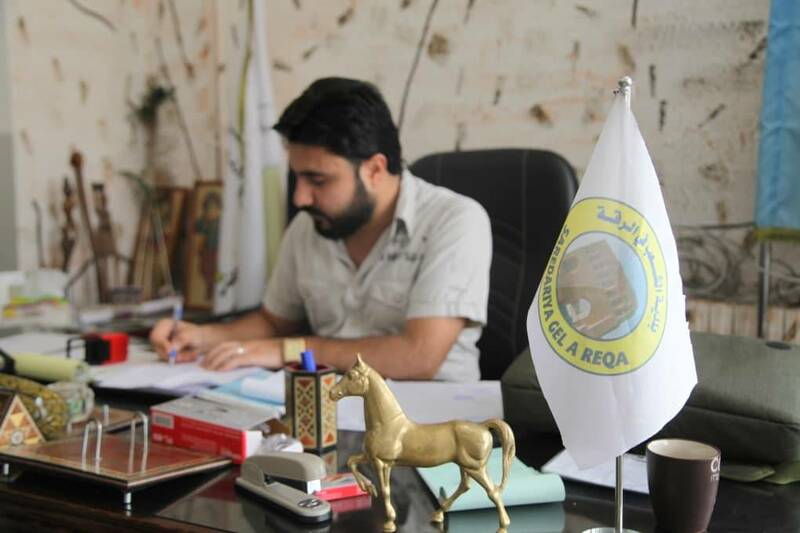 Apart from the civilian council, the city council is an important center of Raqqa. Under the IS rule, the town hall was turned to a torture center and prison. Now the building has been reopened. The city administration plays an important role in the renewal of the infrastructure destroyed by the war and started its work with a staff of 13 people. There are already 150 people offering services there at the moment. Among other things, they deal with infrastructure, electricity and bread production. 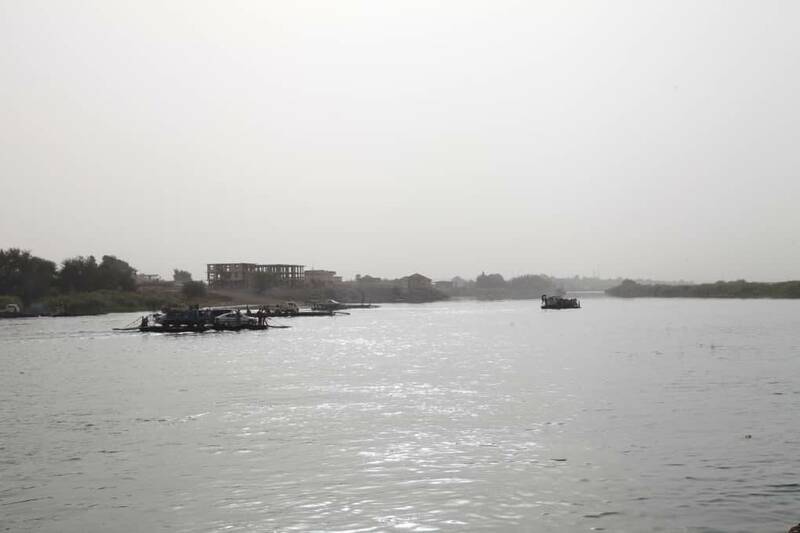 While almost every house in Raqqa is connected to the water network, at the moment only three neighborhoods can be reached by the main power supply. The other neighborhoods are supplied with interruptions by generators. 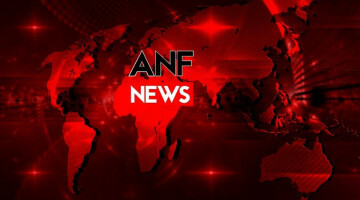 In areas such as Mansur, Rashidiya, Rafqa, Mahdi and Salihiya, which had become a scene of fierce fighting between the IS and the SDF, mine clearance continues. The repair of the historical walls that extend around the city like a "J" has also begun. The damaged places during the war are restored and cleared of the mines laid there. 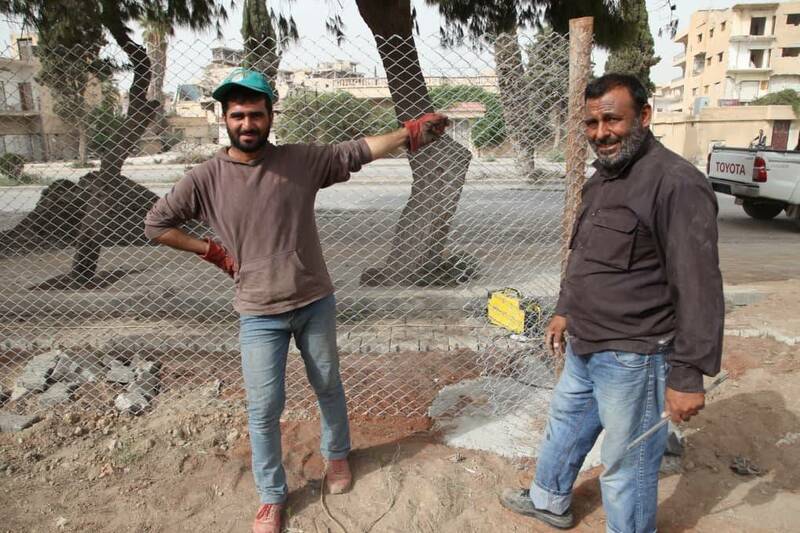 Last year, the Baghdad Gate and its surroundings were cleared of mines. The industrial area there has turned into one of the liveliest places in the city. The fortress of Harun Rashid, which is almost at the end of the walls, was cordoned off and secured. 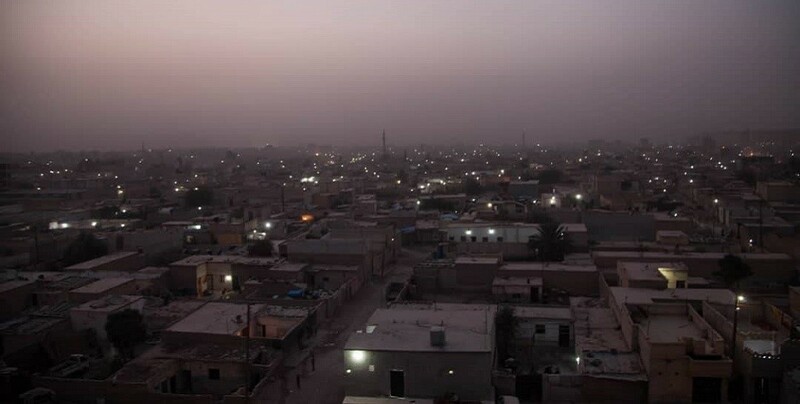 While the city's external security is guaranteed by the SDF, the Public Security Forces (HPC) and Women's Defense Forces (HPJ), as well as the Asayish-owned Internal Security forces, provide protection within the city. The high traffic volume is secured by traffic policemen in the streets and lanes. Especially at night, the security measures are intensified. During IS occupation, the schools had become barracks. With the liberation of Raqqa, the children began to return to the schools. So far, about sixty schools have been opened throughout the city. The children are taught there in their native languages. Work on health care continues in both the Council and the city administration. Many health workers had been forced to flee ISIS and have returned to the city after liberation. So far 10 hospitals have been opened and many health centers have been set up. The care is provided by Raqqa doctors and Kurdish Red Crescent Heyva Sor doctors and staff.